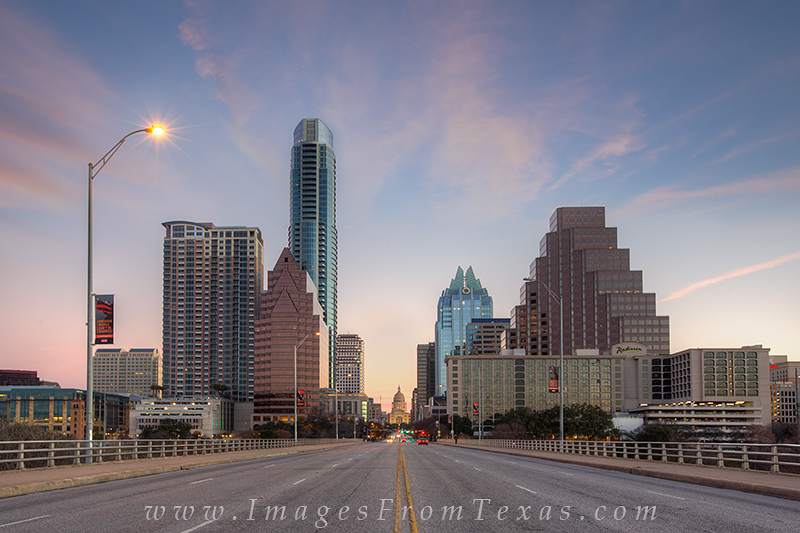 High clouds drifted above the state capitol and Congress Avenue in this late January image from Austin, Texas. The Austonian rises highest in the skyline, and everyone knows the Frost Tower. Congress runs over Lady Bird Lake straight into the steps of the Lone State capitol. Photo © copyright by Rob Greebon.